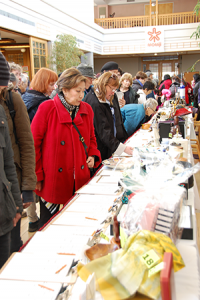 Momiji’s Community Bazaar is our largest annual fundraising event and is a much-loved community tradition. Each year, the Bazaar offers something for the entire family to enjoy: valuable bargains, delicious Japanese cuisine (including manju and sushi), a bake table with a vast assortment of goodies to enjoy, a large silent auction and a Collectibles (definitely Vintage … and possibly Antique) Corner where you are sure to find a treasure or two. 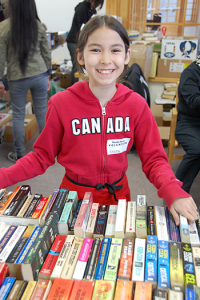 Proceeds from the Bazaar support Momiji’s Programs and Services. 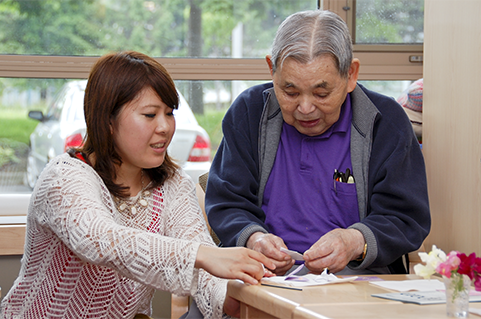 VOLUNTEER: We rely heavily on volunteers to help on the day of the Bazaar and on the days before, with sorting of donations, our famous “sushi bee” and “manju bee,” and set-up. If you are interested, please contact our Volunteer Services Manager at 416.261.6683 ext. 234 or volunteering@momiji.on.ca. DONATE: We are always looking for donations of gently used, previously loved items such as Japanese items, Corningware and Pyrex tea pots and coffee pots, Mid-century modern pieces, and vintage linens. All donations are gratefully accepted, but please, no used clothing or furniture. To donate contact bazaar@momiji.on.ca. COME & SHOP and bring your whole family!